The following is a brief story of my introduction to the Internet and its impact on the Kiwi Brevet via social media. My first introduction to the "Net" came in the late 80's where I became aware of email at my work-place, and then the Usenet. The Usenet was a bit like a series of "bulletin boards" where there were topics of interest for people to join, or even create, like rec.bicycles.tech and alt.binaries.misc. There was a strict etiquette and FAQs, and pecking orders with a user-base that was either from an educational, science or military background, as these people were usually the only ones with access. This lead to the idea that the people using this "thing" were relatively intelligent. There were no trolls as such, but there was the odd bit of "flaming". FAQ and Flaming were probably terms that came out of the Usenet. This content was all viewed on the command line... you know, white or green text on a black background. The first web browser wasn't yet available and most people were viewing this stuff on monitors hooked into main-frame computers because there weren't that many PC's about. 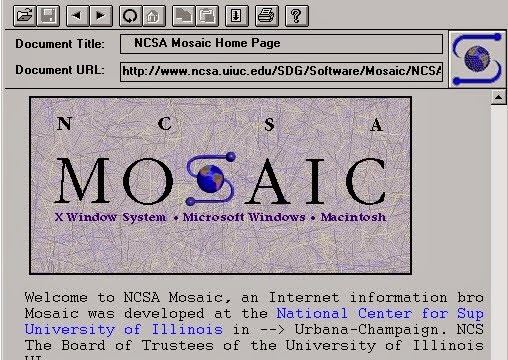 Many workplaces eventually shifted to PC's and in 1993 the first web browser "Mosaic" was available. In those days the world wide web was so small that there was a list of new websites each week, and even an Internet yellow pages was published annually. Out of the world wide web came web-based forums, and Paul Kennett started the NZ mountain bike forum on mountainbike.co.nz and later on Tama Easton started VORB. These forums were a lot more accessible and easier to use than the cryptic Usenet or bulletin-board type affairs and the Internet soon became frequented by people less likely to be nerds, but still keen on sharing and learning new things. 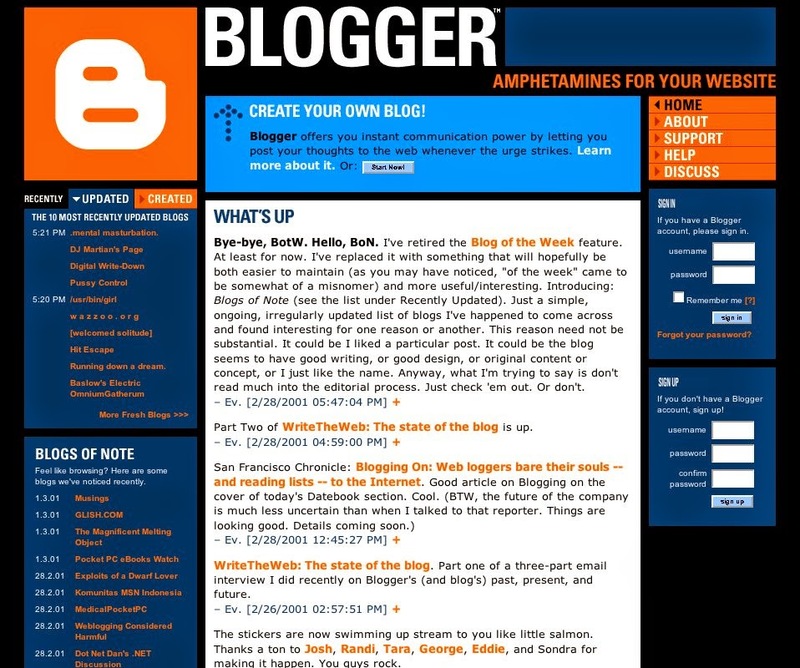 In 1999 I discovered Pyra's Blogger, and used it as a CMS (content management system) for a few sites. Kashi Leuchs (NZ's top MTBer) and the Wellington Vets Cycling Club to name a few. Blogging became a bit of a "thing" but I didn't start doing it myself for quite a while as I didn't think I had anything to say that anyone else wanted to hear. Eventually my fear of strangers knowing stuff about me passed but I still didn't put anything on it about my family. Web-based Forums on any number of themes ruled for many years, and then in 2004 a thing called Facebook arrived. Most people didn't "get it" to start with and figured it was a place where "people without actual lives" could hang out. In 2006 Twitter was the new kid on the block and once again it took a while to figure out just how to use it and how to get the most out of it, as a "reader" or "poster" and the delineation between the SMS part of it and the internet part of it added another layer of confusion. All of a sudden no one was worried about privacy anymore. In 2007 the Iphone launched and then in 2010 fortunately Instagram appeared on the scene as an app to enable Iphone users to share their images. Android users had been able to share photos since 2008 but there wasn't a personal "stream" available for them, and Instagram for Android followed later. With the advent of tablets (the Ipad) in 2010 the emphasis shifted totally from a web base to an app base with increasing numbers of the people using phones and tablets to get their information fix instead of their desktops. In early 2014 Mobile internet usage passed desktop usage in the US. Blogging was being replaced by Tweeting, Instagramming and Facebooking and SMS texting was being replaced by snapchatting, vibering and gchatting. The line between cellular and internet based networks was becoming blurred. In a few years time I imagine the new users wont know how to distinguish between them. Q. How useful are these new "media" as a record of our lives; who holds the information and is it accessible by us, our friends, or only the clients of the "media platform"? In 2002 Google brought Blogger from Pyra and it became part of the massive Google information gathering empire. Every thing I ever posted on Blogger is still out there and probably by virtue of its association with Google it is all completely searchable. Blogger have dropped the ball as far as keeping up with their "Blogging" competition but they were probably thinking that Google + wasn't going to be so slow to catch on. How searchable is your content? How searchable is Facebook, Twitter, or Instagram? I've heard Facebook is used as an example of poor usability so it is possible that I am just not skilled enough to find something I saw an hour earlier on FB, let alone a week later. There is no doubt that Facebook itself knows where everything is but that is for them and their clients to know. Maybe that will change? On Twitter, it seems it is searchable using tags, and you can just scroll down a person's feed for as long as you can be bothered until you get to the end of their timeline. Instagram is similar although Instagram is an example of the shift to a complete mobile (phone and tablet) focus. You cannot (officially) upload photos to Instagram via the desktop, or search Instagram via the web directly, although you can browse a persons "stream". Currently there are 3rd party sites (like ICONOSQUARE) that will allow you to search Instagram, but that's not to say that this feature will remain if Instagram pulls their card, like Twitter did to companies using their API. You can search Instagram via hash tags or users on the mobile app, but not on the desk-top. An example of the rapidly changing face of Social media can be seen over the last 5 years since the first Kiwi Brevet. 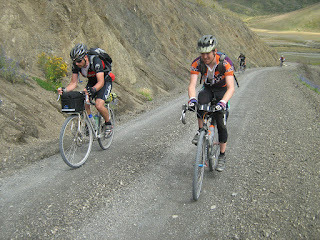 The first Kiwi Brevet's web presence started as a blog using the Blogger platform in 2009, and was promoted using the VORB Mountainbiking forum. For this, and the next Kiwi Brevet, riders shared their experiences by writing their own blogs, many of which are still linked to via the Kiwi Brevet blog. 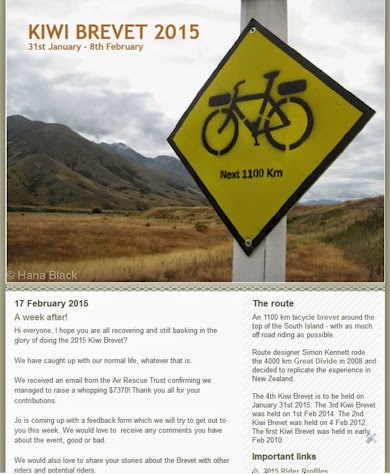 For the 2nd Kiwi Brevet in 2012 there was less talk on the forums, but it was still the go to place for information, along with the actual Kiwi Brevet blog which became a portal of sorts. More individual rider blog links were added. The event organisers used Twitter to share news and updates and riders were encouraged to tweet using the KiwiBrevet hash tag. For the 3rd Kiwi Brevet in 2014 the VORB forum got a lot less use and and Facebook had taken over as the method of sharing progress during the event. With linked "apps" it was possible to post to a Blog, Facebook and Twitter simultaneously. The blog was also populated with news as it happened and riders were still blogging about their experiences afterwards. For the 4th Kiwi Brevet in 2015 Facebook and Instagram had taken over pretty much from the VORB forum. Despite the unwieldiness of Facebook, it had the numbers and for the people who could figure out how to do it, they could follow their friend's progress, or befriend the organiser and follow his commentary during the Brevet. Instagram was also very popular using the KiwiBrevet tag, and the use of a 3rd party aggregator meant that people who were not actually on Instagram could also see the posted images that were uploaded. The blog was added to with news as it happened as usual. The big losers in 2015 were the forums, and Blogs. So far in 2015 we have only 3 known blogs. In 2015 there were over 261 Instagram posts, but only 7 Twitter posts. It looks like people have opted for the quick and easy, formats Facebook and Instagram, with Instagram being the only one that offers a useful record from an outsiders view point, provided they know how to use a hash aggregator. It would be difficult to say how many comments or views Facebook has had. There is an element of gear-freaking in Bikepacking so the rider/gear profiles have been very popular on the Kiwi Brevet Blog, although hits have come down over the years as people become more comfortable with finding their gear selections. Page views on the 2012 profiles are at 16,000 hits, which has dropped down to 5,600 for 2014 and 3,169 for 2015.